Years ago, during one of my extended stints in New Orleans, the city was struck by a tropical depression. Wave after wave of winds and driving rain buffeted us and water began rising ominously. This was before Katrina and, while everyone was monitoring the situation, few seemed concerned that the weather would actually turn dangerous. Many did, however, rule that things had become entirely too treacherous to stay at work or at home. The books and papers in my cloth satchel were bound to be ruined by the torrents of rain, so I quickly ducked into the Bourbon Pub, an old gay bar at the corner of Bourbon and St. Ann. Taking refuge in a neighborhood bar, I realized, wasn’t my solitary genius idea. The place soon filled with locals. As much time as I have spent in New Orleans, I had never — to that point — been to a hurricane party. Everyone in the bar knew the weather was bound to get bad before it got better. Clearly, these locals felt, no work could be done while the storm raged and the rain blew nearly sideways. So, what better way for the community to come together then within the bowels of an old brick building where video poker, indoor smoking, and a seemingly endless supply of liquor that fueled a convivial — yes, even party — atmosphere? Face it, when the power fails, the phones go down, and the streets are filling with water, where would you rather be: your office or a bar? We may have no hurricane parties in San Diego, but gathering in bars and taverns in times of turmoil is nothing unique to New Orleans or, indeed, new. In her new book, America Walks into a Bar, Christine Sismondo places the bar squarely at the heart of American social life. Call it the tavern, a pub, a saloon, or any other style of watering hole, the bar has for centuries been where Americans gather to share news, hatch plots, settle wagers, and predetermine the outcome of political races. The book covers political intrigue, secret societies, court officers, and unionists all brought together in front of the brass rail. Sismondo also writes about marginalized populations who have assembled and amassed in bars for most of the last three centuries. The Molly Maguires are there, as are feminists, African-Americans, and gays. One hears about New York’s famous Stonewall Inn and how a police raid there resulted in riots that helped launch the modern gay rights movement. What we hear less about is what the place was actually like. Sismondo digs up historical references that make the mob-run bar sound every bit as dangerous and squalid as a Luc Sante opium den. I enjoyed the book's breezy, almost conversational tone, its historical anecdotes, and its look into how America’s bars have long stood as a vital “third space” in our communities, but that bit about retreating into upstairs spaces is one I’m going to put to use. I’ve always quite liked second-story bars for the views they offered of the surrounding neighborhoods, but I realize now something else has always nestled in the back of my brain: not many parents will schlep a stroller up a flight of stairs. 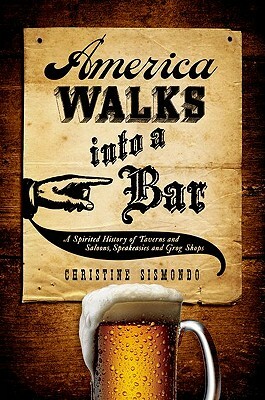 For those of you attending Tales of the Cocktail in New Orleans, Christine Sismondo will be speaking next Thursday, July 21 on The Bad Bad Boys of Saloons and signing books at the popup bookstore in the lobby of the Hotel Monteleone. 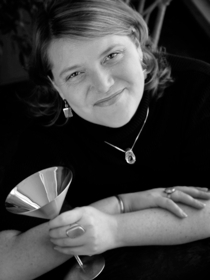 See www.talesofthecocktail.com for details.